You’ve seen the ads. You’ve heard the commercials. “Settle your tax debt for pennies on the dollar,” they claim. “We are the country’s largest tax resolution firm,” they explain. “We are a publicly traded corporation,” they proclaim. Well Enron was a very large publicly traded company as well, and they weren’t exactly trustworthy, were they? Some of these same firms have been sued by Attorney Generals for consumer fraud and theft. Others have over 1,000 complaints with the Better Business Bureau for their tax resolution scams. Unfortunately, the Tax Relief Industry has attracted circling vultures waiting to prey on those who are weakened by the threat of IRS action. Arm yourself with the tools necessary to defend against their self-serving actions. Start by informing yourself about some of the common tax relief scams below and reading our tips on how to protect yourself. Related to the above, our second scam comes from aggressive sales people who try to reel in clients by dangling anecdotal stories of ‘pennies on the dollar’ Offer in Compromise tax settlements. The reality is that very few taxpayers qualify for an Offer in Compromise (about 25% to 33% of applicants). But the scam companies out there won’t tell you that. They may string you along and make you think you are being taken care of only to discover that, when all is said and done, you did not qualify for the Offer in Compromise. At which point the tax settlement scams company will conveniently assert that it was because the IRS did not approve it, and it was not their (the company’s) fault. There are multiple factors the IRS considers in an Offer in Compromise application such as the taxpayer’s ability to pay, income, expenses and asset equity. The truth is that most taxpayers don’t qualify. When you are dealing with a new tax resolution company, ask yourself; does the company make a thorough assessment of the factors above? Do they emphasize the importance of these qualifications? Do they make it clear that an Offer in Compromise is difficult to obtain? If the answer to any of these questions is no, you may be dealing with a company who does not have your best interests in mind. There are a lot of Companies that advertise tax relief services, but do nothing more than sell the customer’s information to other service providers. Unfortunately, there are some firms who have outright cheated and stole from their clients. These are the firms that are being targeted and shut down by the Attorney Generals and who have tarnished the industry. In these cases, the unscrupulous companies will enroll many clients into a program and collect their money without providing adequate services. Some don’t even send the necessary paperwork to the IRS. As soon as there are too many complaints or upset consumers, the Company will simply change their name and start preying on consumers all over again. Adding insult to injury, many of these companies don’t provide refunds and leave people even further in debt. On March 30, 2012, Tax Master’s was ordered along with its founder, Patrick Cox, to pay $195 million on charges that it defrauded customers nationwide. A few weeks prior, the tax relief firm filed for bankruptcy “in an apparent effort to avoid the state’s enforcement action,” explained the Texas Attorney general. Tax Master’s unlawfully misled customers about their service contract terms, failed to disclose its no-refunds policy, and falsely claimed that the firm’s employees would immediately begin work on a case – despite the fact that Tax Master’s did not actually start to work on a case until its customers paid in full for services, even if that delayed response meant taxpayers missed significant IRS deadlines. In August 2010, former tax attorney Roni Deutch was hit with a $34 million lawsuit for allegedly defrauding thousands of customers seeking tax advice. Then California Attorney General Jerry Brown (now Governor of California) accused her of airing misleading advertisements about her services and engaging in heavy-handed sales techniques to pressure clients. Included in the allegations were charges that Deutch’s firm not only did not provide the services promised to clients but that she refused to refund fees. An order was issued in August of 2011 prohibiting Deutch from destroying any evidence related to the case. According to the current attorney general of California, Kamala D. Harris, however, Deutch began shredding documents immediately. The attorney general’s office alleges in its complaint that Deutch shredded nearly 2,000 pounds of the firm’s documents, or about 200,000 pages the day after the order was issued. The company has been sued by a number of U.S. Attorneys General after receiving numerous consumer complaints settlement of a class-action lawsuit that had been brought against JK Harris by the Attorneys General of 18 states, including the AG of South Carolina, home to JK Harris’ headquarters.about misleading business and advertising practices. In July 2007 a South Carolina judge approved a $6 million settlement of a class-action lawsuit that had been brought against JK Harris by the Attorneys General of 18 states, including the AG of South Carolina, home to JK Harris’ headquarters. 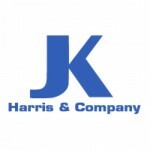 The suit claimed that JK Harris & Company was charging customers fees for resolving back tax debts, but then failed to deliver on their promises, and engaged in deceptive marketing and advertising practices, such as promoting that their regional offices were staffed by tax experts when they were often only sales representatives. The FTC filed charges against American Tax Relief in September 2010. The defendants allegedly defrauded consumers out of a whopping $100 million during a short period of time in business! A summary judgement in favor of the FTC found that American Tax Relief falsely claimed they already had significantly reduced the tax debts of thousands of people and falsely told individual consumers they qualified for tax resolution programs that would significantly reduce their tax debts. In February 2013, the defendants were found personally liable and settled the matter under an agreement with the Federal Trade Commission. The settlement order imposes a $103.3 million judgment against ATR, Hahn, and Joo HyunPark. It also imposes judgments of $18 million and $595,000, respectively, against Young Soon Park and Il Kon Park, Joo Park’s parents, who were found by the court to have received significant sums from the scheme’s earnings.The judgments will be suspended once the defendants and relief defendants have surrendered assets that total more than $15 million, including cash, a home in Beverly Hills and a condo in Los Angeles, jewelry and gold items and a 2005 Ferrari. Thankfully we now live in a world with Google and it’s very easy to find out if a firm is one of the good guys or bad guys. To find out if the firm you are dealing with is trustworthy just look them up through the Better Business Bureau or other similar sites. Below are some of the best places to do your research. Do you require upfront payments for services? Firms that make you pay for their services upfront should be avoided. 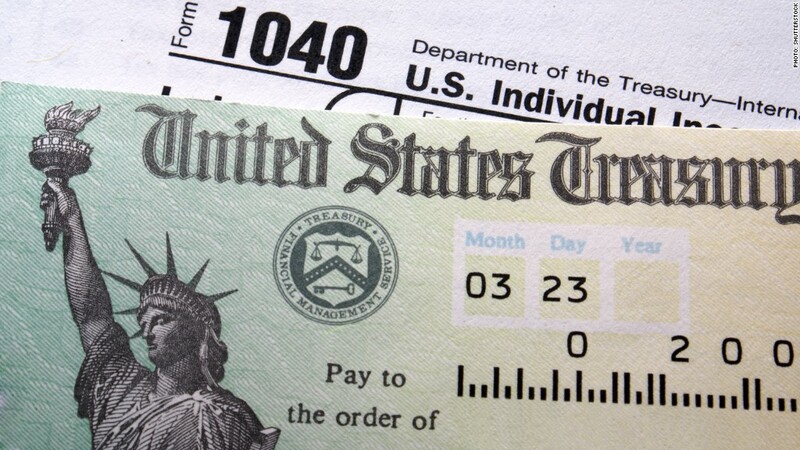 These are the most common tax relief scams. The reputable firms in this industry will be paid their fees after they have rendered their services. Some firms will include a nominal “discovery fee” for them to assign a tax professional to your case and do the research necessary to provide their recommended course of action. This is preferable to working with a firm that assesses all payments due upfront without knowing the specifics of your case. If you’re still considering working with a firm that is charging for their services upfront, you’ll want to at least work with a firm that has a formal refund policy. If they are not able to deliver what they claim, you’ll be able to get some or all of your money back. Ask them to put their money where their mouth is. A reputable firm will be willing to guarantee their performance. Do you service your own clients? Many firms are just marketing affiliates taking a cut for referring clients to larger backend companies. Ideally, you’ll want to work with a company that services their own clients with an in-house team of CPA’s and tax negotiators. Comprised of Tax Professionals with over 25 years of experience, Optima Tax Relief is a full service Tax Resolution firm that can handle almost any IRS or State Tax Issue. We are one of the few large tax relief companies to be accredited with the Better Business Bureau. Our most important asset is our clients, and our team is driven to achieve optimal results while providing a professional customer service experience. Every client is matched with their own, personal, designated Case Manager that helps navigate their file to the most beneficial resolution possible, to help ensure your success. Our Immediate Action team is on hand to provide quick representation and answers for clients that are impacted by garnishments, bank levies, liens and many other challenges. Additionally, we don’t assess resolution fees upfront until we’ve had a chance to perform an in depth investigation into your tax issues with the IRS. At that time we’ll let you know our estimated fees but you won’t pay until we get the work done. Furthermore, we stand behind our work with a 15-Day Money Back Satisfaction Guarantee on any fees assess for the professional investigation process. Please don’t fall for any tax relief scams. If you have an issue with the IRS, contact us today to talk to a professional tax relief advisor you can trust. When I get an e-mail from such an address, I immediately attribute it to some sort of "phishing scam" and delete it. Do you know what your marketing is doing ?